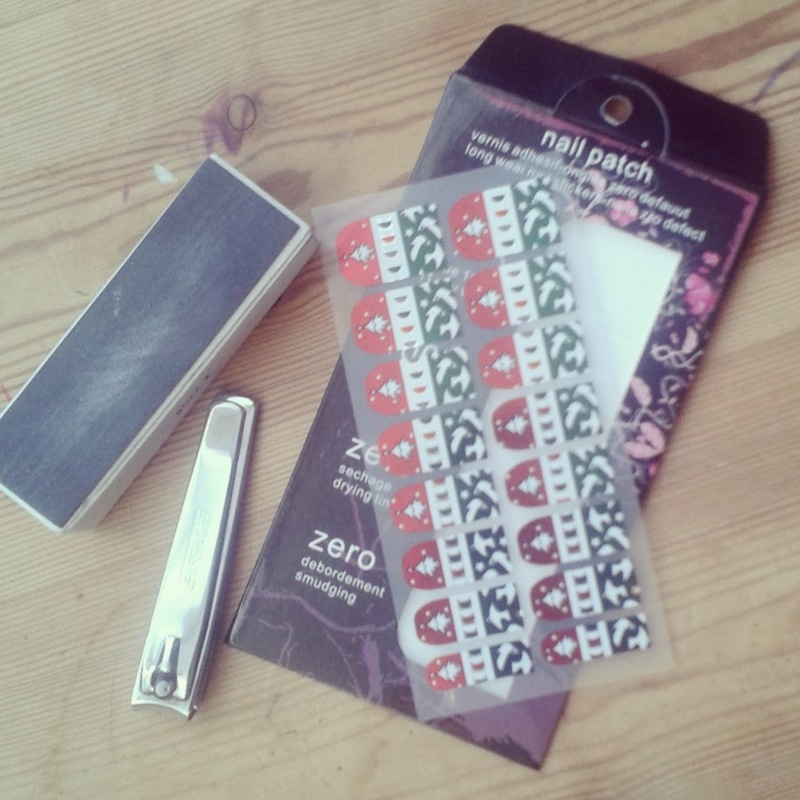 After the success of the Avon Candy Cane nail stickers I ordered a selection of nail stickers from eBay. First up I chose these foils. My eye was drawn to the doves on the end. Sadly my nails are not long enough to reach those... in some cases they weren't even long enough for the 2nd pattern either. They were really tricky take off their backing - which I'm sure is a good sign for the promised 11 day wear. Alas this didn't seem to transfer as well to my nail. I'm starting to wonder if my nails are a tad on the curved side, as this is an issue I also had with the Avon stickers. Even using a cuticle pusher I still had some ripples and bubbles where the foil refused to adhere to my nail bed correctly. 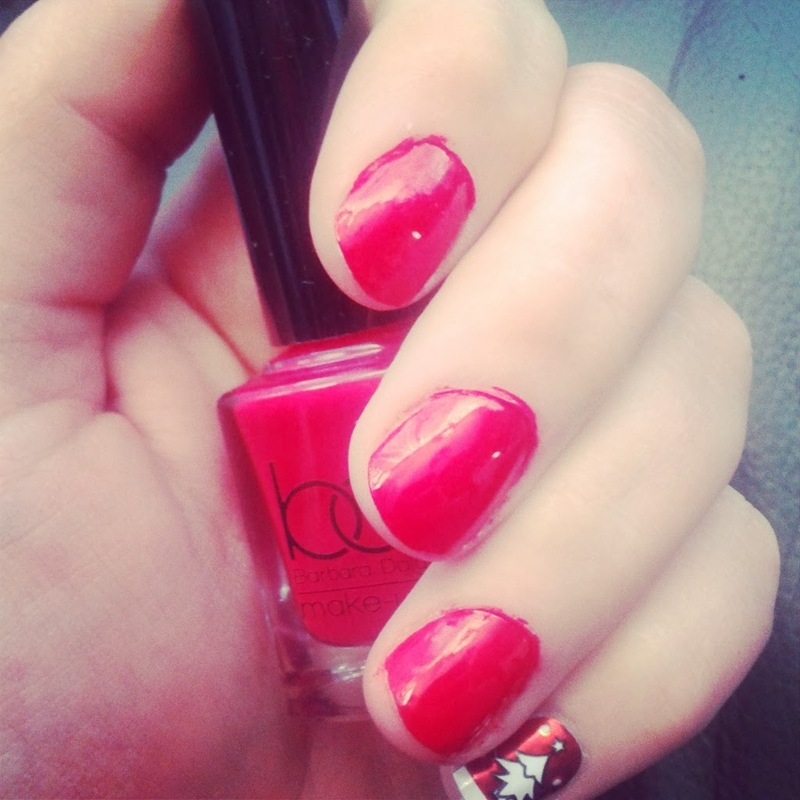 So I took the 2 smallest stickers and added them to my pinkie finger nails and gave the rest a couple of coats of Barbara Daly nail polish in Scarlet. I think it works rather well. I doubt I'll be buying foils for my fingernails, however I am still willing to try them on my toenails as I know that they are much flatter across the board and probably a much better canvas for the product.